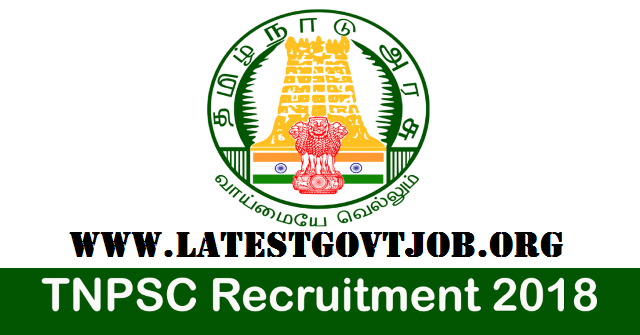 TNPSC Recruitment 2018 For 805 Posts of Assistant Horticultural Officer @www.tnpscexams.in : Tamil Nadu Public Service Commission (TNPSC) has released a notification for the recruitment of 805 Assistant Horticultural Officers. Interested candidates may check the vacancy details and apply online from 25-05-2018 to 24-06-2018. Candidates should have passed 10+2 in any stream and 2 year Diploma course in Horticulture from the Institutions approved by Tamil Nadu Agricultural University or Director of Horticulture and Plantation Crops or from the Gandhigram Rural Institute. It is mandatory for all candidates to pay Rs. 150 to register in One-Time Registration system. General/UR/OBC candidates who have paid One-Time Registration have to pay Rs. 50 as Examination Fee through SBI Bank Challan OR online mode using Net-banking/Credit or Debit Card. SC/ST/PWD candidates don't have to pay Examination Fee. Interested and eligible candidates may apply online through TNPSC website - http://www.tnpscexams.in/ - from 25-05-2018 to 24-06-2018.